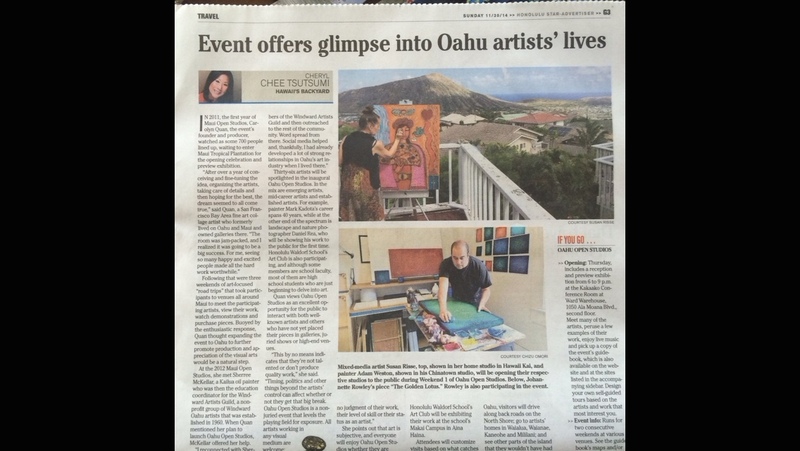 Aloha, and welcome to another year of Oahu Open Studios, an island-wide *FREE* ART EVENT! Glitter Gypsy is excited to be participating again this year. 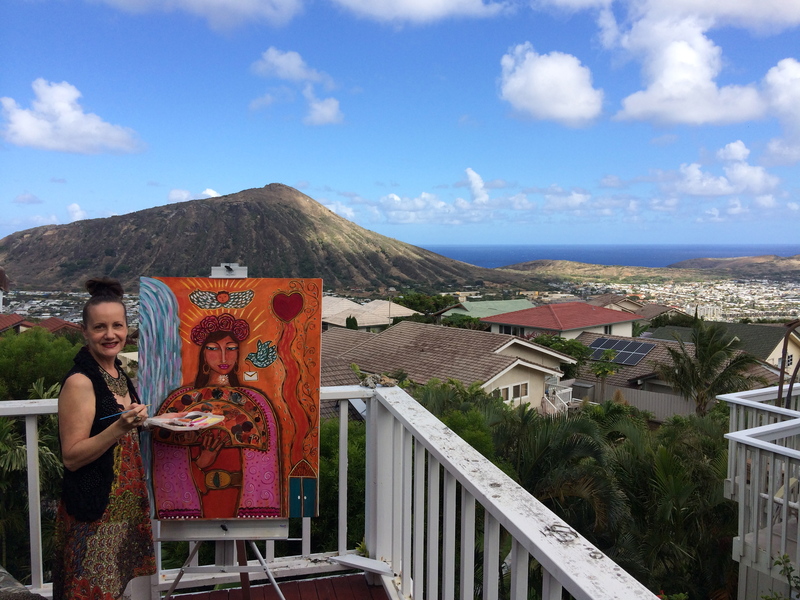 What is Oahu Open Studios? Fifty one local artists will be opening their art studios to the public over the next two weekends. Our event kicks off tomorrow evening at First Friday Arts Walk in Chinatown (November 6,2015, 6:00-9:00p.m.) with our Opening Celebration/Preview Exhibition. 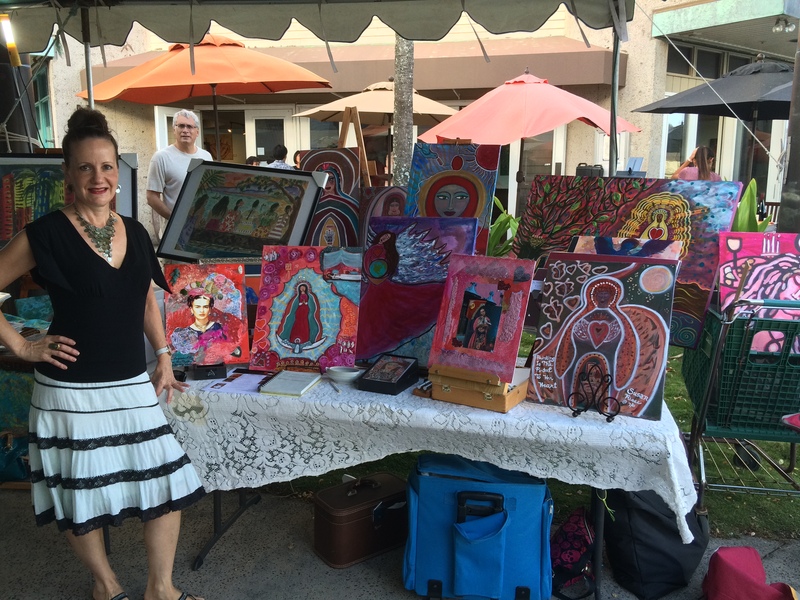 Meet the artists & preview their artwork, while enjoying refreshments & live music. The art show will remain hanging there in the lobby of “Bishop Place” (1132 Bishop St. at Fort Street Mall-take the escalator up & pass the security guard to the “Main Lobby”) through November 20th. “Weekend 1” Artist Open Studios (Central, North Shore & Windward Oahu) is November 7th-8th, 11a.m-6p.m., both days. 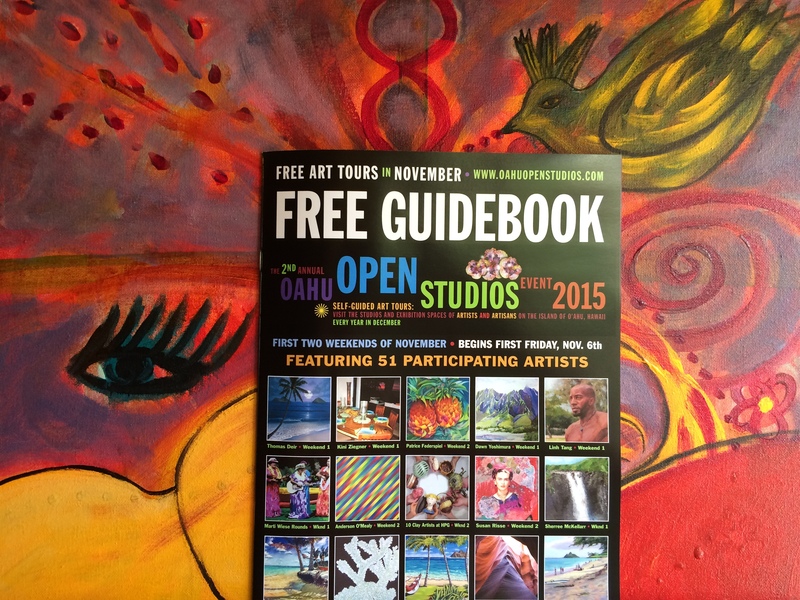 **FREE GUIDEBOOKS & PRINTABLE MAPS available at http://www.oahuopenstudios.com Go there to grab your copy & beginning planning your art studio tours! Be sure to stop by Glitter Gypsy Studio (my home/studio) ~Studio #51~ any time November 14th-15th, 11a.m.-6p.m., both days! 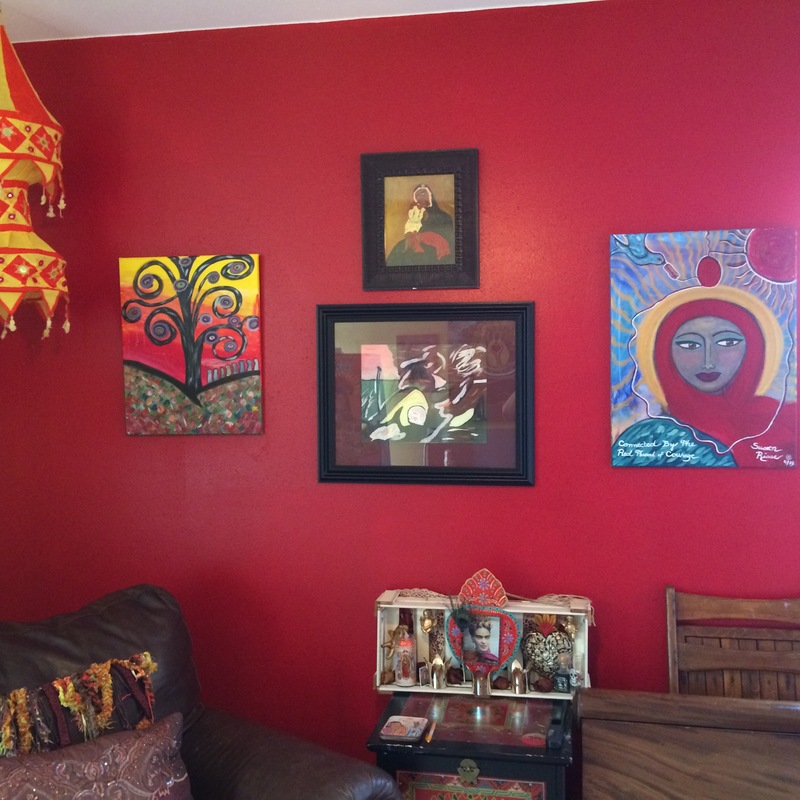 ~Open Studio/Art Salon~ View/purchase my original art, as well as archival quality art prints & greeting cards. 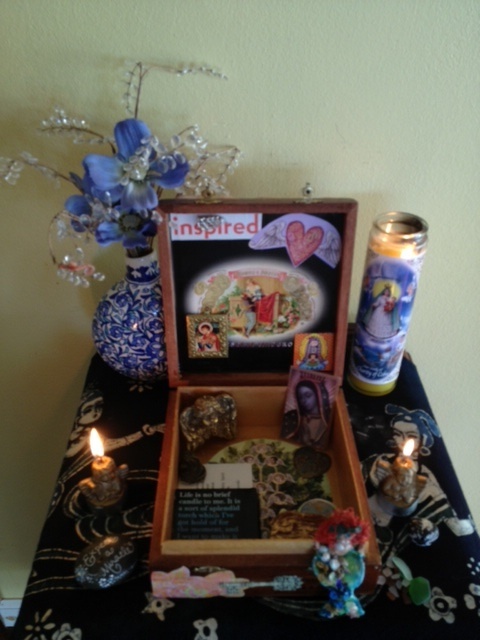 ~Enjoy complimentary wine, tea & pupus while visiting, visioning, asking questions & talking story. ~Relax on our ocean-view lanais or poolside while visiting the artist & other guests. 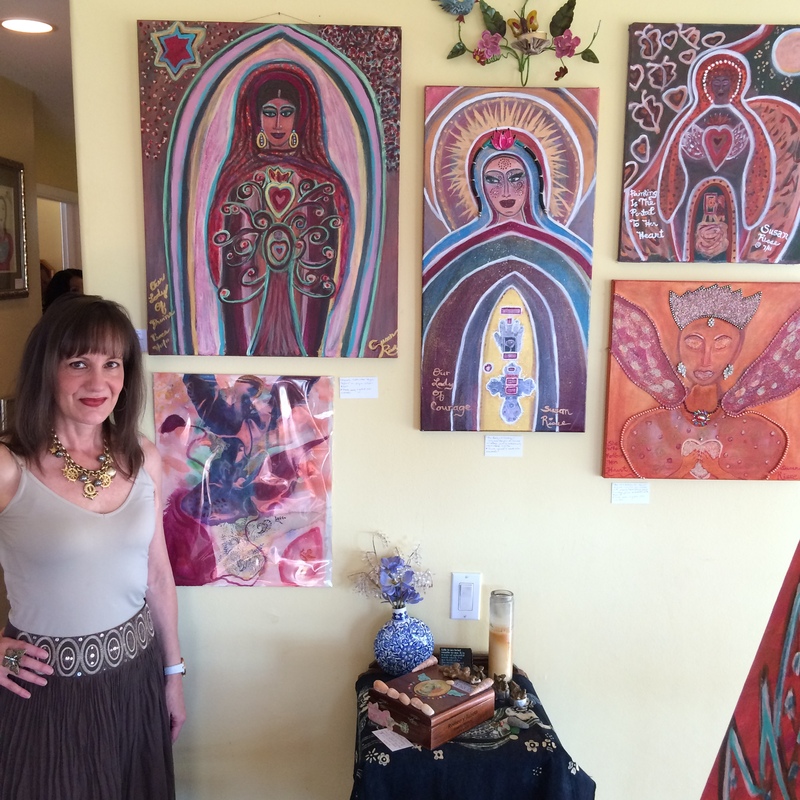 ~Ask me about upcoming Events, Workshops, Monthly Women’s Creativity Art Circles, Creative Coaching & More! ~BONUS: International Singer/Songwriter & Actress Lucie Lynch will be performing LIVE Saturday afternoon after 4:00! PS: I’d love it if you’d “Like” me on FB http://www.facebook.com/GlitterGypsy & Susan Conrad Risse (profile page) on Instagram @glittergypsies, LinkedIn: Glitter Gypsy Risse, @SusanRisse + you’ll receive all of the latest updates a lot quicker & easier! Based on demand, the previous post describing the “Exploring Your Deepest Soul in the Land of the Virgen & Goddesses” has been changed. 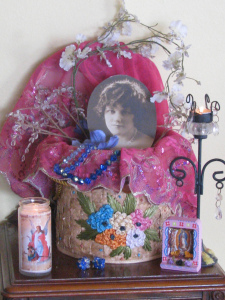 Glitter Gypsy will now be offering a 1 day “Workshop Intensive” based on the same theme. 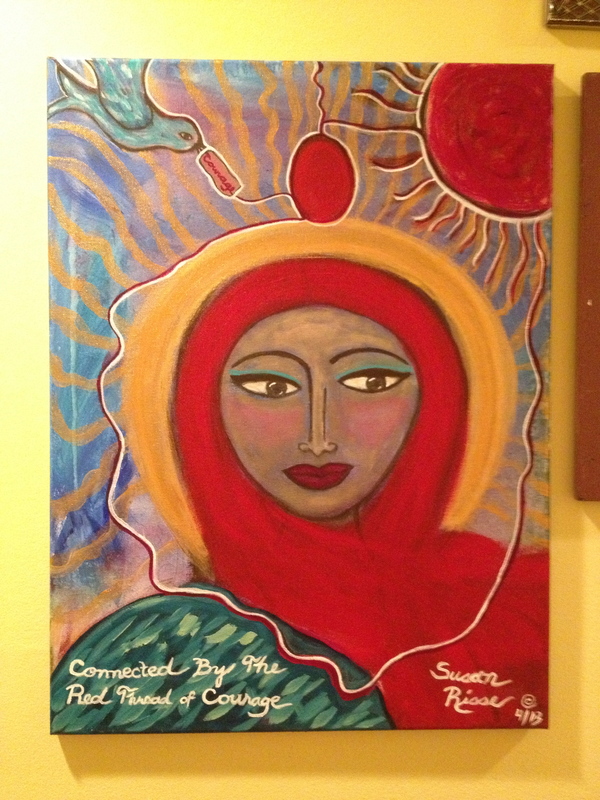 We will be painting your “Lady, Virgen or Goddess with acrylic on canvas at beautiful Casa Frida in San Miguel de Allende, MX. 8/10/12 from 10-6 and all materials and lunch is included! The fee is just $110.00 (or equivalent pesos,) so now, there’s no reason not to join us! 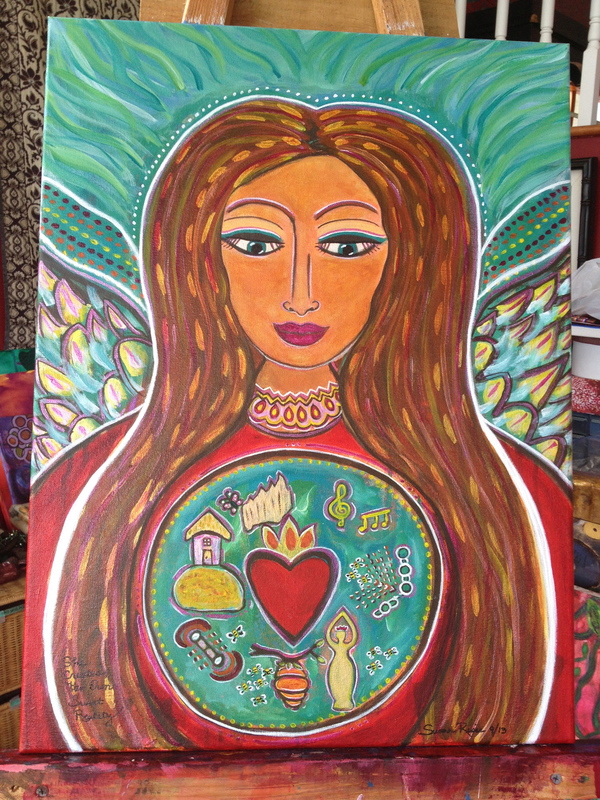 Glitter Gypsy will guide you as you journey inward to reveal & express your “Inner Wise Woman” on your canvas. Explore your own rich terrain in community with other like-minded creatives. No previous art experience neccessary. 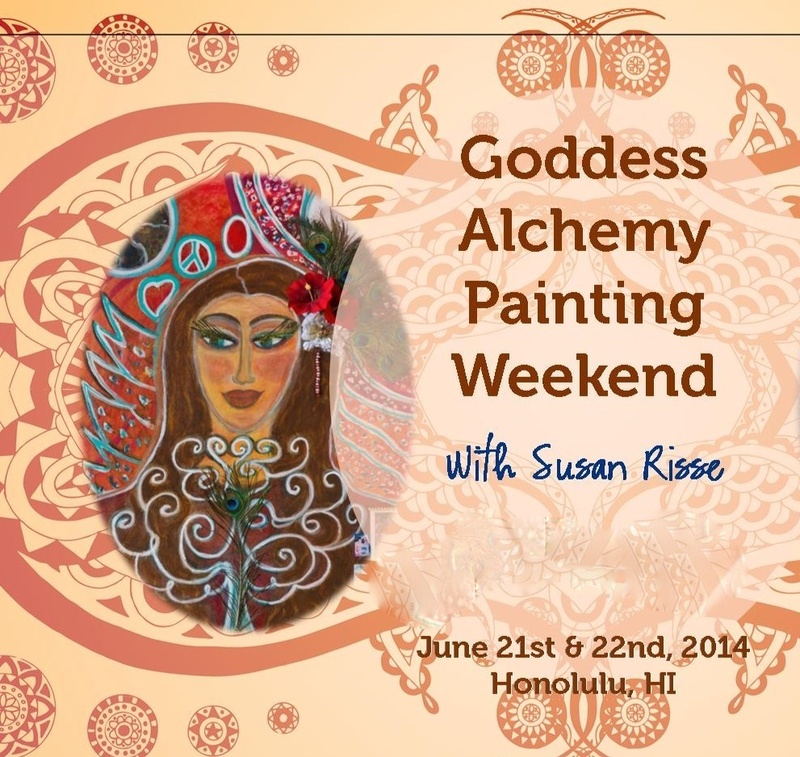 Email Glitter Gypsy at susan@risse.com to register. See the details on the post below, too.